In the first of an occasional series of guest blog posts, where guidebook authors and writers reveal some of their favourite places to explore, Charles Davis reveals some of the secrets of the volcanic island of La Palma. Herman Melville observed that the best places aren’t on any maps. 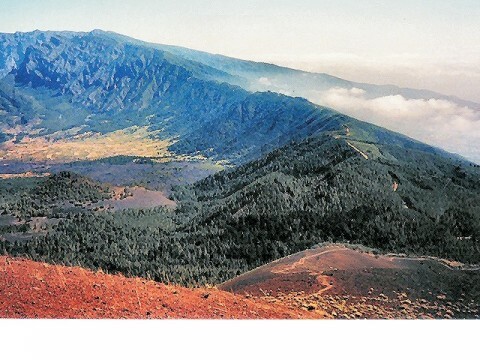 It’s an assertion that may seem a little perverse on a site dedicated to the distribution of maps, but for many years that was pretty much the case as far as tourists were concerned when it came to La Palma in the Canary Islands. 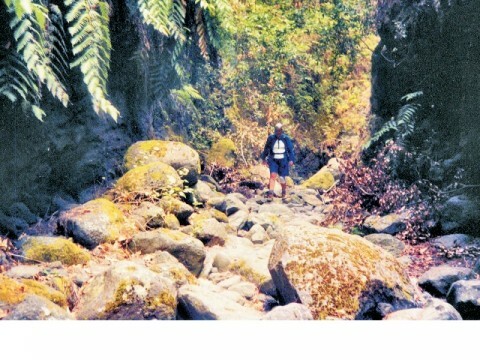 It was, therefore, a leap of faith when Discovery Walking Guides published a book about the island . . . that and an act of gratuitous self-indulgence on my part, since I was slated to research the thing. And what a discovery it was . . . The steepest island in the world, the deepest crater, the clearest skies; volcanoes you can climb without being shot into orbit; a subtropical forest minus the slimy things slinking up your trouser leg; black beaches, blue seas, high mountains, vegetation that is literally flamboyant, everything linked by a thousand kilometres of waymarked paths; and all virtually untouched by tourism. If this sounds divine or like some lost paradise, you’re not the first to think so, previous commentators having identified La Palma as the prototype for both the Elysian Fields and Atlantis! Above all though, it’s a walker’s idyll - tranquil, verdant, and unspoiled. The island is essentially a large question mark with a lot of rock draped around it. The question mark is formed by a central spine of volcanic mountains, the Cumbre Vieja, linked by the Cumbre Nueva to the loop of the Caldera de Taburiente. The caldera or ‘cauldron’ is the largest water erosion crater in the world and it’s crowned by one of the top two astronomical observatories in the Northern Hemisphere, placed there to profit from the height and lack of light pollution. The northern part of the island is wild and green, mantled with a dense blanket of laurel, waxmyrtle, and heath trees thanks to the humidity brought by the trade winds, and so scoured with ravines that the first road was only laid 20 years ago, while there wasn’t even a dirt track before the late fifties. This Monteverde or ‘green-mountain’ contrasts sharply with the south, which is a lava frazzled wasteland rimed with a slender green fringe of banana plantations and pockets of viniculture. 35% of the island is officially protected, but the three most celebrated areas are the Cumbre Vieja volcanoes, the Caldera de Taburiente, and the Los Tilos forest, all of which are covered in Walk! 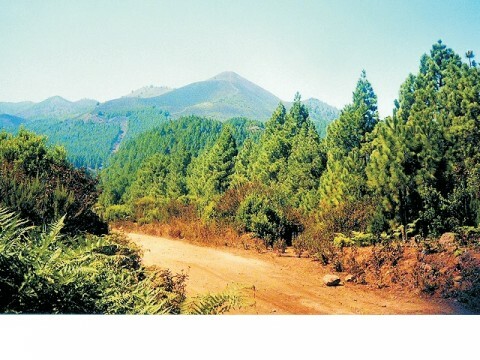 La Palma. Steepness is perhaps the defining quality of La Palma. 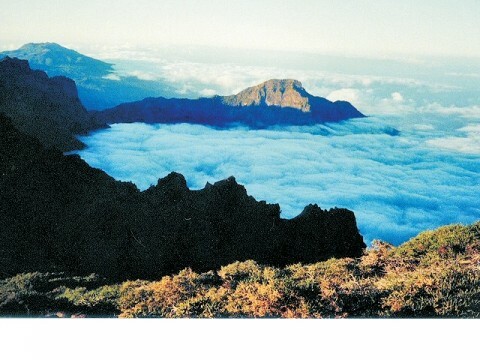 Relative to landmass, it’s the steepest island in the world and, seen from the Cumbre Vieja at sunset, its shadow reaches all the way toTenerife, 85 kilometres away! 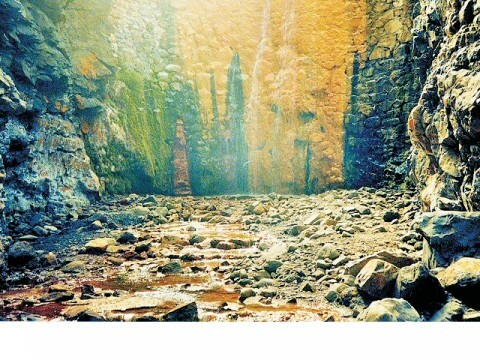 Precipitate gradients and a lack of golden sands helped save the place from mass tourism, to such an extent that old photos on bar walls, elsewhere an eloquent testimony to tiny fishing hamlets transformed into dense tower hamlets, might in La Palma have been taken yesterday for all that has changed. The paths exploring the island are well made and well signposted, taking us into the jungle-like forests of the highlands, tunnelling through sensational galleries, traversing the gritty slopes of the south, threading their way along the dizzying rims of volcanoes and craters, and criss-crossing, climbing, circling and otherwise circumscribing the starburst of ravines to the north. Glancing back through the book to write this blog, it occurred to me that La Palma is one of those places where I’d be happy to go back and do it all over again. You see what I mean about gratuitous self-indulgence? Maybe those fanciful conceits about the Elysian Fields and Atlantis weren’t so fanciful after all. This really is a heavenly lost world. Or, at least, it was. According to all reports, it is still heavenly. But it’s no longer quite so lost. In recent months something rather curious has been happening with our Walk! 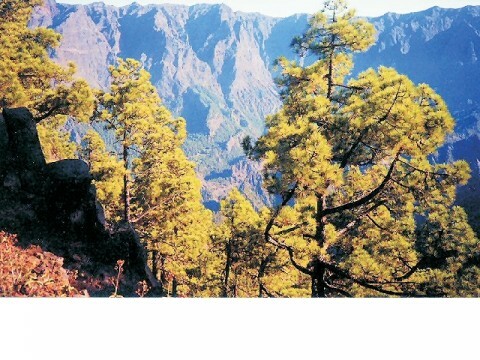 La Palma guide. A publication that had been ticking along selling about a third of a copy a day has suddenly started garnering more readers and more feedback. Precisely why this should be so, I wouldn’t know. Perhaps it has something to do with the destination appearing on ViewRanger. But whatever the reason, it doesn’t greatly surprise me. As I suggested above, La Palma casts a long shadow and it would seem the island is now very much on the map as far as walkers are concerned. The best places aren’t on any maps? Even a wise old bird like Melville can get things wrong sometimes. Time to visit La Palma before the secret spreads. 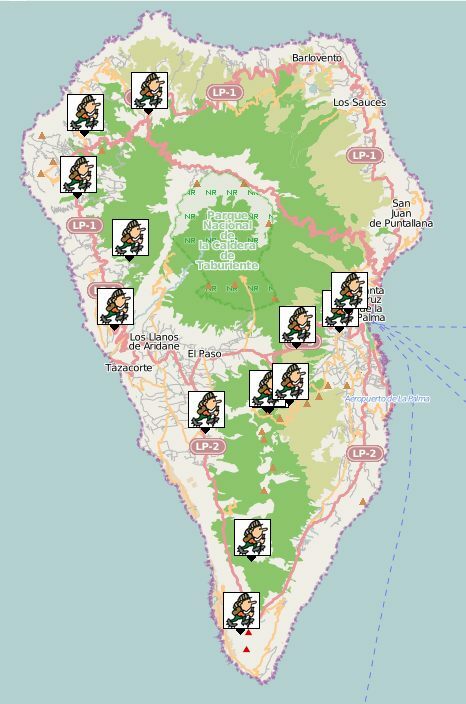 If Charles has inspired you to discover La Palma, then you can find the Discovery Walking Guides Tour & Trail map for La Palma here (or download from the in-app ViewRanger store) and you can download Charles' hiking routes on La Palma to your smartphone and tablet.